Book Review Aliqual By Massimo Mastrorillo Reviewed by Adam Bell In 2009, an earthquake struck the town of L’Aquila, Italy. Measuring 5.9 on the Richter scale, the earthquake devastated the regional capital of Abruzzo and left over 300 dead. Fearing aftershocks and further devastation, the government forcibly evacuated the town center, leaving it largely abandoned. Aliqual. By Massimo Mastrorillo. Skinnerboox, 2015. Skinnerboox. In Italian and English. 128 pp., 11½x7¾". In 2009, an earthquake struck the town of L’Aquila, Italy. Measuring 5.9 on the Richter scale, the earthquake devastated the regional capital of Abruzzo and left over 300 dead. Fearing aftershocks and further devastation, the government forcibly evacuated the town center, leaving it largely abandoned. Starting in 2009, Massimo Mastrorillo re-entered the town, explored the buildings and took pictures of the empty, cracked, and junk strewn apartments and offices. Taken over the course of four years, the photographs that comprise Aliqual are a record of this devastating event, but they are also an intriguing meditation on the camera’s power of estrangement. Thrown into a maze of collapsed and dilapidated rooms, we’re forced to stare at the piles of junk and ruin left behind. Set against a stark and violent background, objects and things that were once common and familiar are made doubly strange by the dramatic rupture of the earthquake and coolly forensic eye of Mastrorillo. 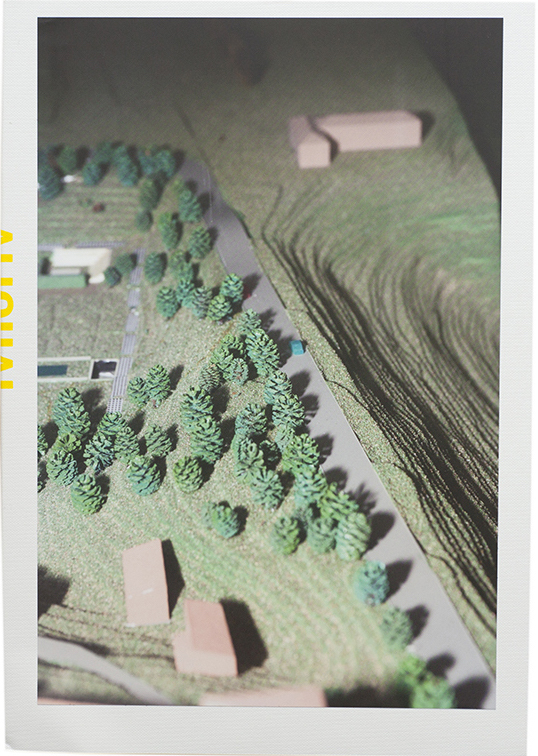 The book begins with a shot of a topographic model. Small trees and houses line a ridge. A flash illuminates the foreground and darkness encroaches in the distance. The book ends with an image of a completed jigsaw puzzle lying on the floor. A bucolic house in spring. Flowers surround the house and a stone pathway leads up from the foreground to the house’s right side. These two images suggest a variety of ways of representing the world — a map, a model, a photograph, a puzzle — that are then mirrored in the book. Distances are frequently collapsed or foreshortened, turning a wall or surface into a topographic surface, and what was once whole is shown broken and in pieces, waiting to be brought together again. The opening image also serves as the book’s front and back cover. Like the earthquake that shook the town and turned things asunder, the image is flipped on the back. Mastrorillo never mentions the earthquake in the book and it’s just as well. While its clear something terrible has happened, we can’t tell exactly what. Cracks appear throughout the book. They run up walls and lead to gapping holes in the floors and windows. Save one dog, there are no living things to be found. There’s a frozen spider, but no people. We’re the protagonists sorting through the rubble. The inhabitants left their stuff behind in haste — children’s toys, anatomical models, a keyboard, some shoes, and a computer. Mostly things are in disarray. Wires are hanging from the ceiling and wallpaper peels off the walls. It’s hard to tell if things just fell there or the rooms they’re in have been ransacked and the objects deemed worthless.